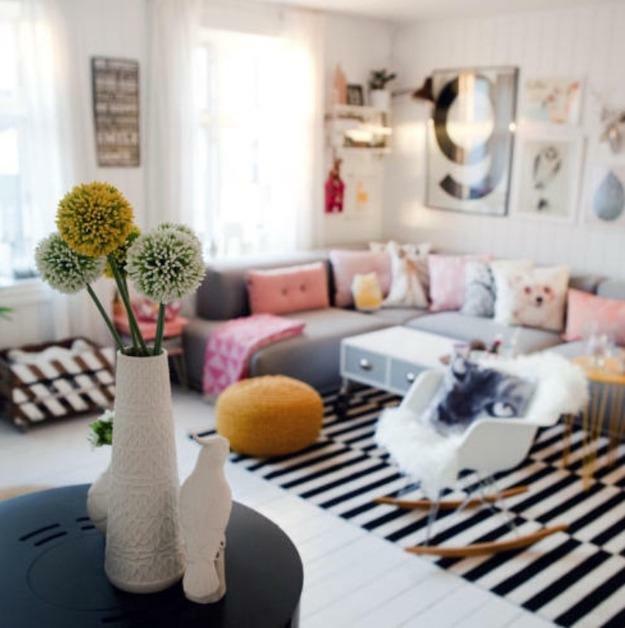 White decorating, bright colors for accents, cute decoration patterns make Scandinavian homes look stylish, happy, and attractive. 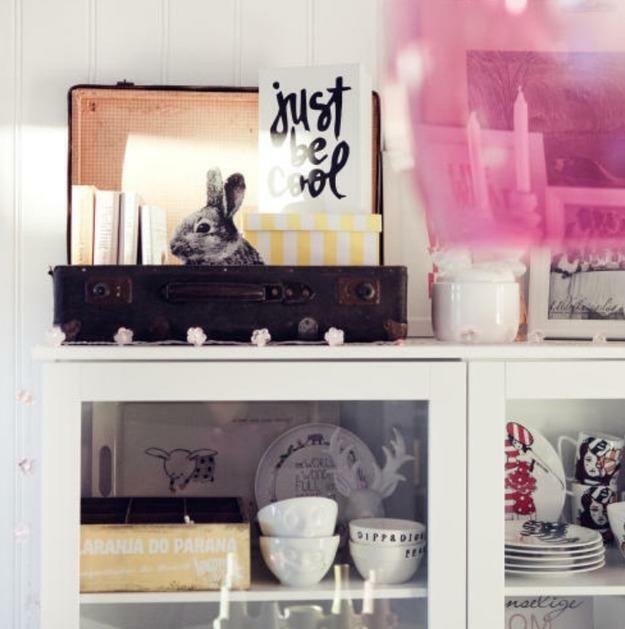 Decor4all presents a beautiful home decorating project from Norway, creating comfortable, refreshing, and bright rooms in the Scandinavian style. 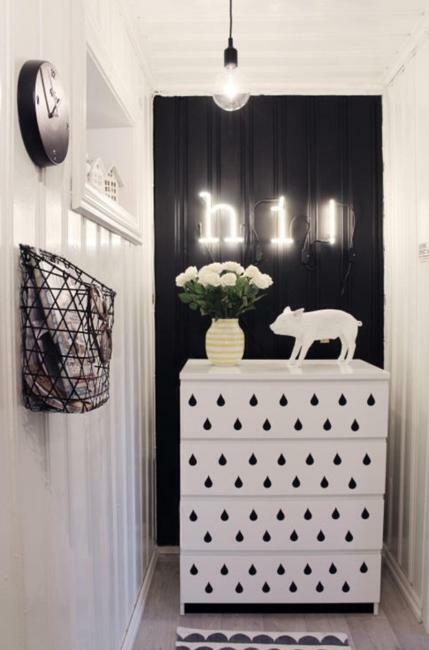 Modern home decor ideas with an artistic touch, black and white decorating and colorful accents create a pleasant family home for a young couple filled with harmony and happiness. 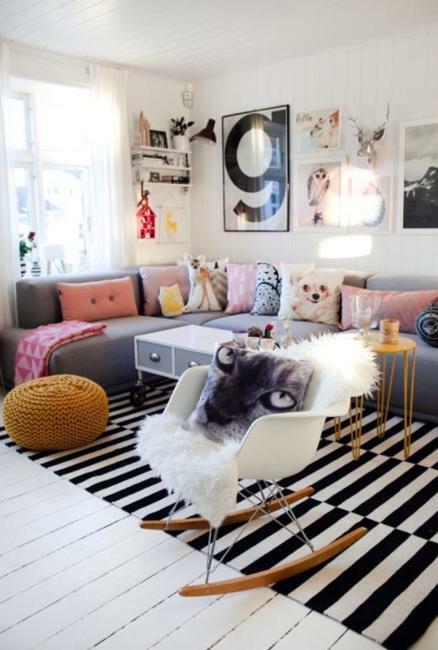 The love for animals and bright interior design ideas make rooms feel personal and inspiring. Cheerful interior decorating with white colors give a touch of bright summer to home interiors and create modern home decor with character. 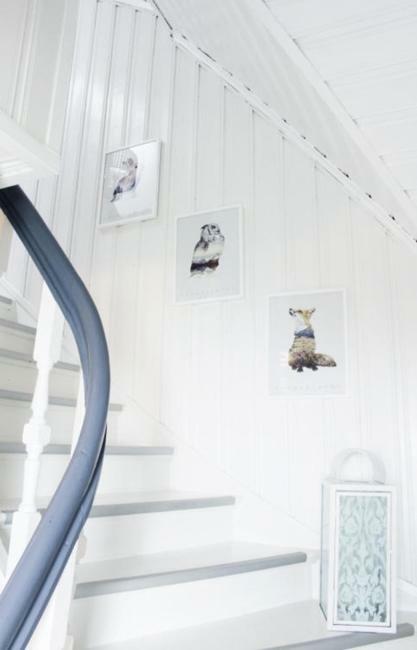 Built in 1887 the old Norwegian house looks very modern, functional and bright. The old window trims, wooden walls, painted white floor give light personality to the living spaces, creating a perfect background for bold accents reflecting the interests and preferences of the home owners. Dark wood cabinet in the bathroom, turquoise trolley in the dining room, a bright yellow and violet accents and colorful prints create colorful and modern decor. 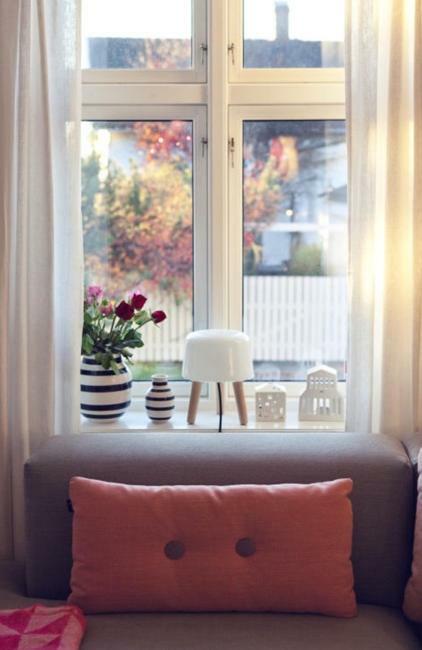 Many bright colors are perfect for accentuating home interiors. Pink, mustard, gray color tones, and warm shades of peach color bring life into rooms and make white decorating look colorful. The bedroom decorating color palette is calm and peaceful. 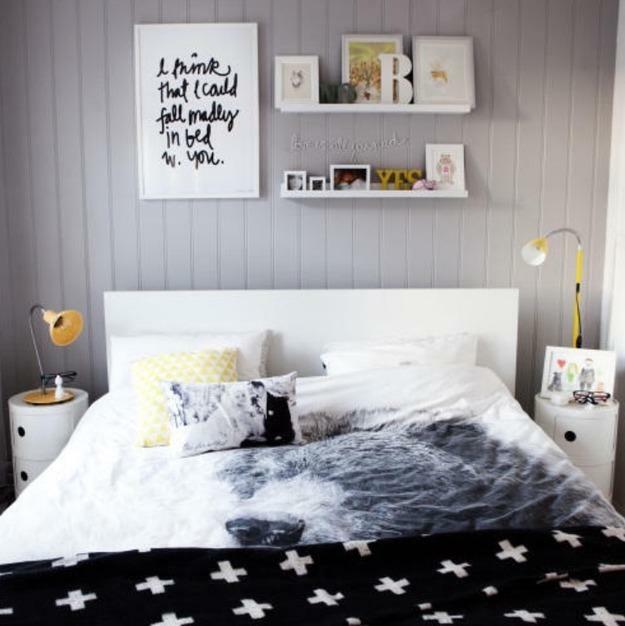 Elegant gray color tones create a relaxing atmosphere, ideal for a good sleep. 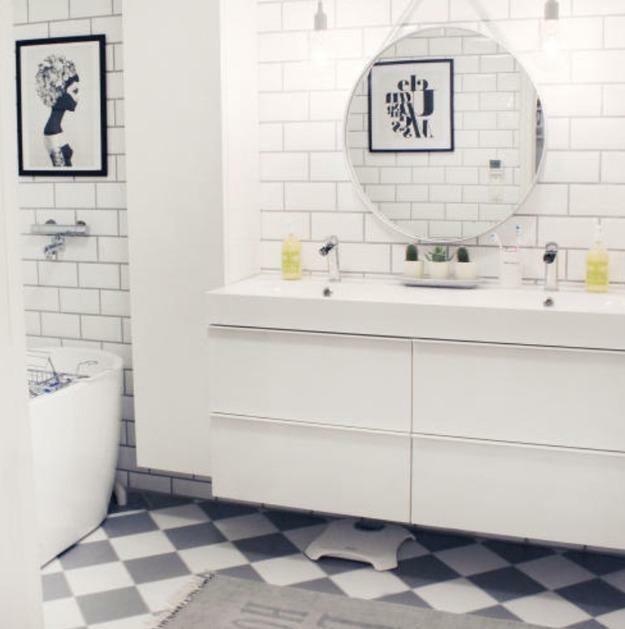 White decorating brings the atmosphere of tranquility into a small bathroom. 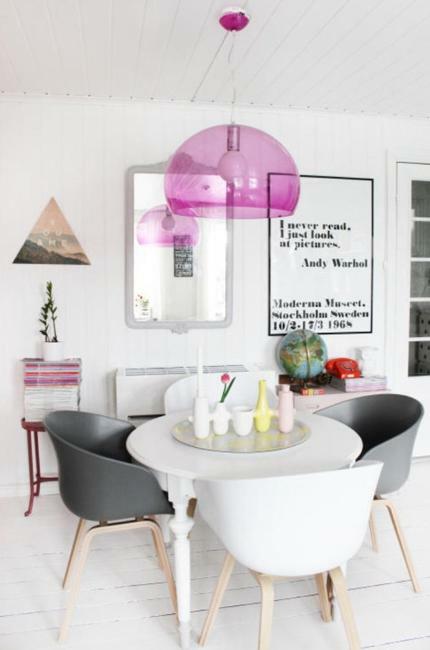 Graphic designs and contrasting room colors add a contemporary vibe to modern decor. 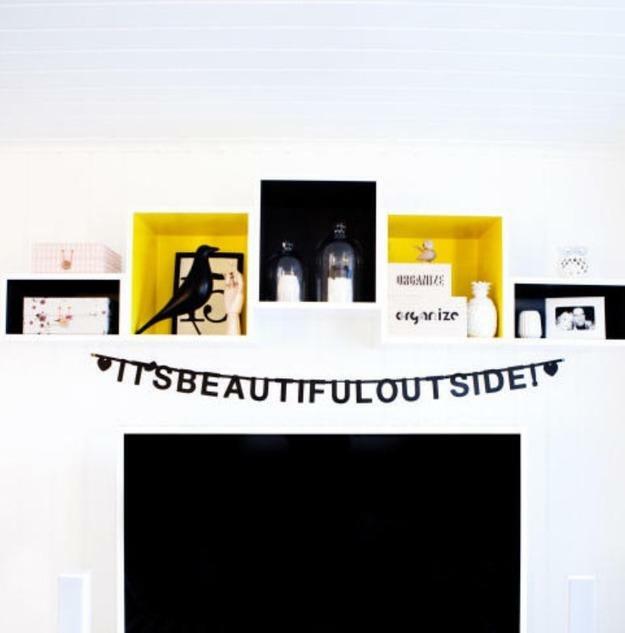 The pictures in the bedroom, a garland on the living room TV emphasize a romantic atmosphere in this house, creating inviting and modern living spaces. 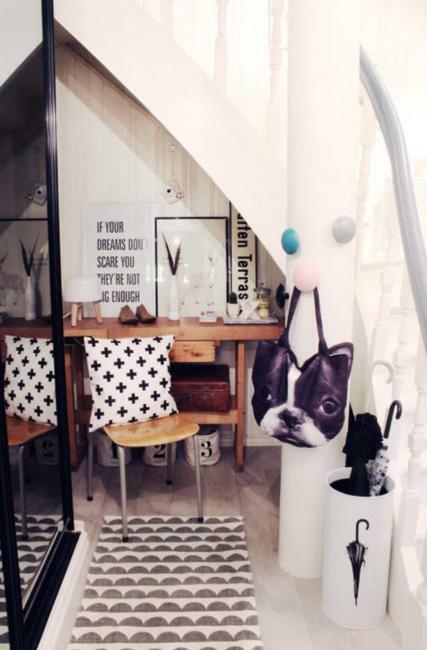 Inspiring words encourage creativity and increase the energy of this beautiful home, decorating in creative and functional Scandinavian style. 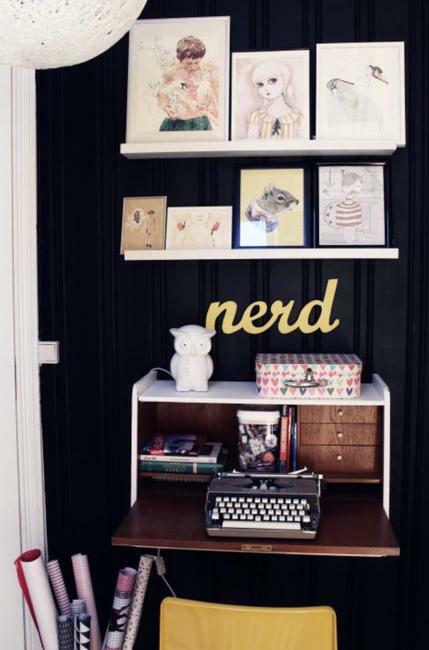 The shelf decoration with family photographs, energetic black and white decorating and lights make people like these welcoming and bright home interiors. Surrounding yourself and your family with what you like creates more smiles and makes your home look warm and happy. Your favorite room colors and creative accents, meaningful images and words bring warmth and love into rooms. 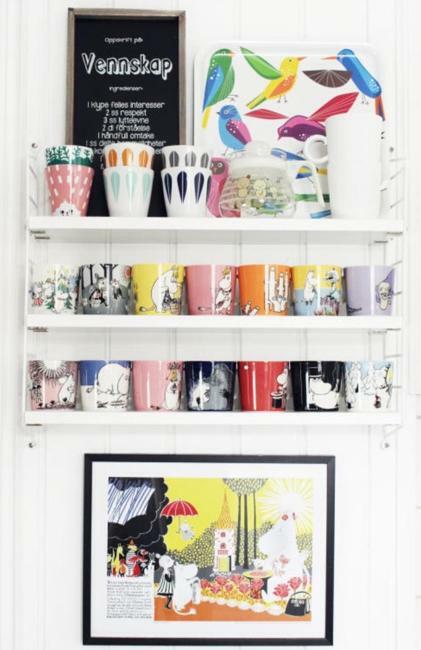 Funny decorative pillows and handmade decorative accessories, nature inspired designs and pictures of your favorite places are fabulous interior design ideas that work well with white decorating in Scandinavian style. 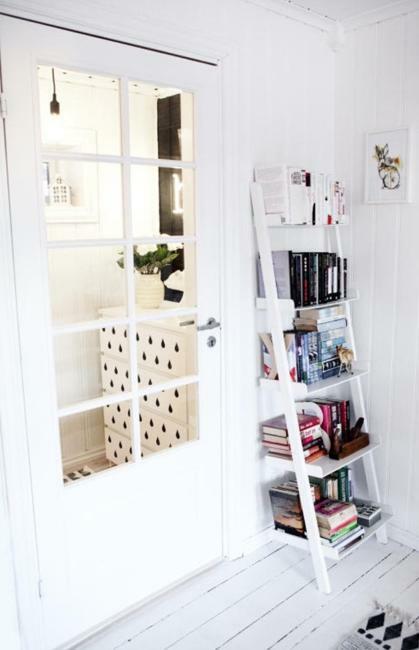 Think about simple and meaningful interior decorating ideas for your home, get inspired by beautiful and creative home decor ideas in Scandinavian style. Steal the look of these attractive rooms and blend it with your solutions to improve your interior decorating and to add light character to your living spaces.